Northern Michigan is hard to compete with especially during the summer months. In this edition we take a ride up to the top of the mitten and visit a small but historic place called Petoskey. 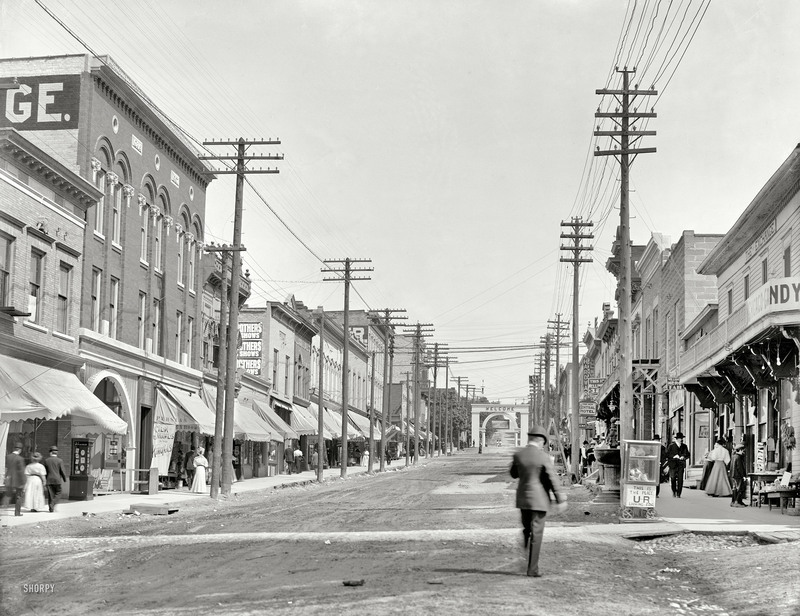 Lake Street has undergone some changes over the years but as you can tell by comparing the two photographs much has stayed the same. Circa 1908. 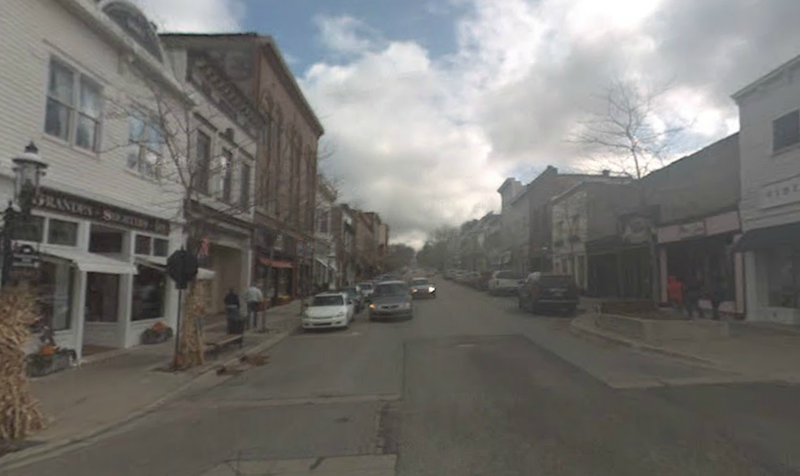 “Lake Street, Petoskey, Michigan.” A bustling hub of commerce offering silk shawls, “kimonas” and “the place U-R looking for.” As well as a nice arch. 8×10 inch glass negative, Detroit Publishing Company. This entry was posted in Detroit, Shorpy Saturday and tagged auto, detroit publishing company, petoskey, shorpy, store, up north. Bookmark the permalink.